CTS 500k Audio Taper Potentiometer. 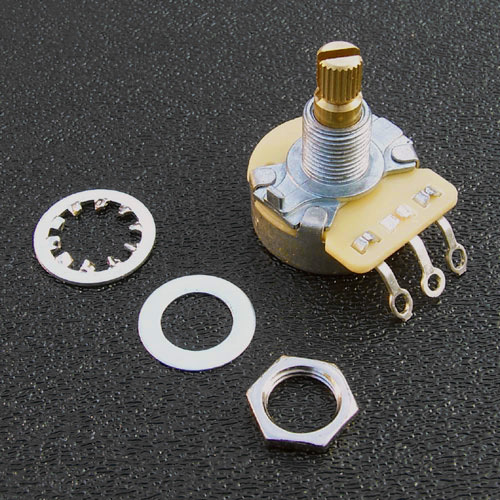 The slightly longer threaded bushing on this potentiometer is perfect for pickguards thicker than 0.090". CTS 500k 10% Audio Taper Potentiometer.